Fostering: Love. Learn. Let Go. Repeat. 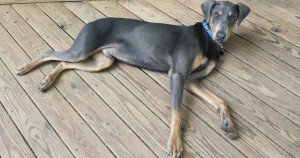 Editorial: A seasoned animal advocate who fostered 66 dogs and cats over the years relays her experience with her current foster, a Doberman named Zoom.